Thanks to two generous people, Soo Theatre Project is now the proud owner of two theatre pipe organs. And thanks to John Ignatowski for locating them, and organizing the “moving parties” of volunteers to get them here. Donated to STP by John Neyrinck is a W. W. Kimball Theatre Pipe Organ, built in 1924 for the Lyric Theatre in Blue Island, Illinois. 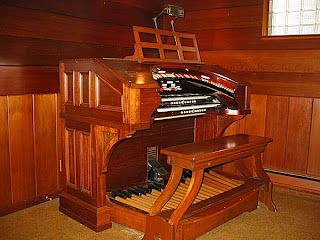 And thanks to John Rinn for donating a Wurlitzer Theatre Pipe Organ, built in 1916 for the Stratford Theatre in Detroit. Each instrument will be installed in its own organ loft in the Soo Theatre and will be playable together as one instrument, but will remain playable separately as well. Soo Theatre will definitely be unique with two theatre pipe organs.